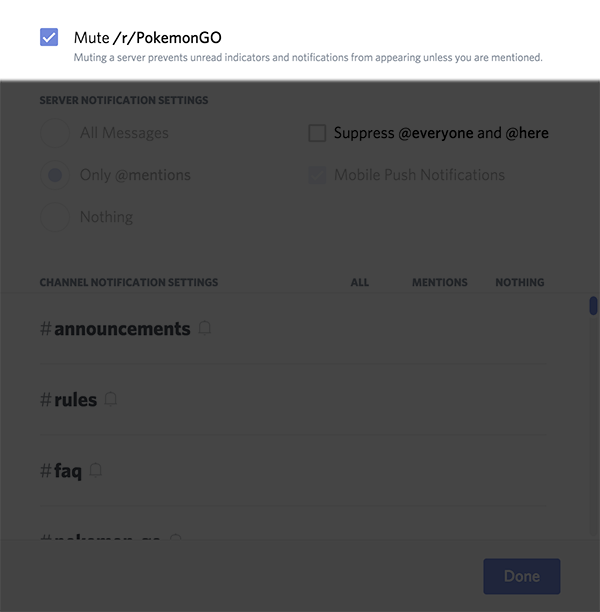 However, in case those notifications from your Pokemon Go server are too distracting, we've implemented notifications muting! 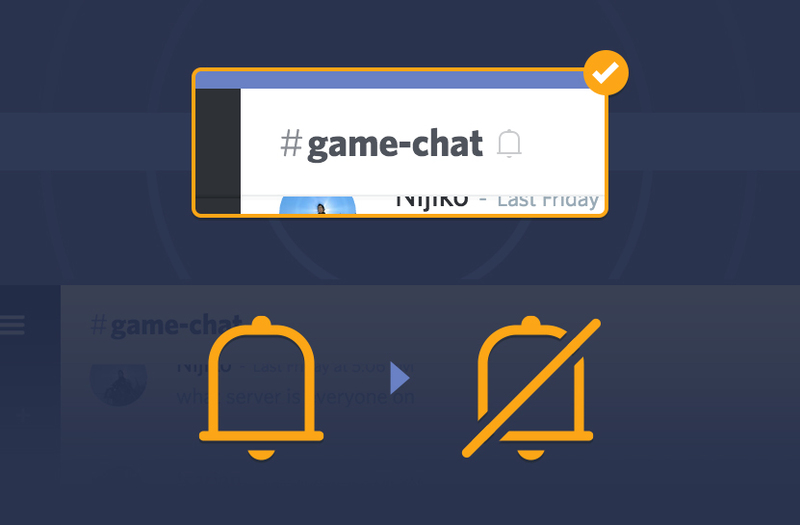 Muting a channel or a server prevents unread indicators and notifications from appearing unless you are mentioned (which includes the @everyone and @here tags). There are two categories of muting notifications, channel mutes and server-wide mutes. They're super effective. If you don't need to blackout your entire server chat, but rather, just silence a couple that are blowing up your notifications, there are a few different ways to mute them. Note that clicking the bell doesn't mean all your other channels are muted, just this one. You'll either need to click the bell in each channel to mute them, or use the multi-channel mute screen. Check that out below. In order to mute multiple channels within a single server at once, click on the three horizontal lines next to the server name to pull up the server menu. 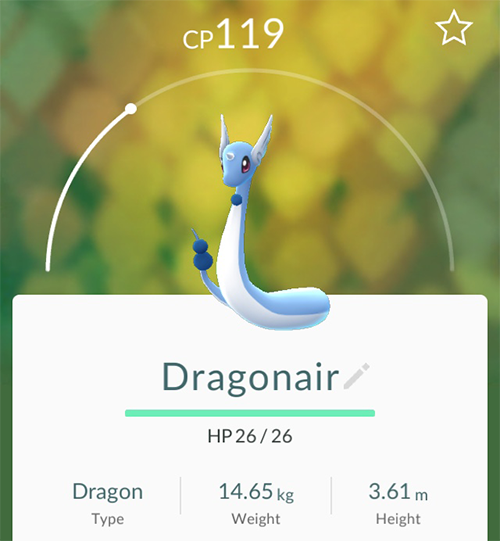 Then click Notification Settings from the drop down menu that appears. 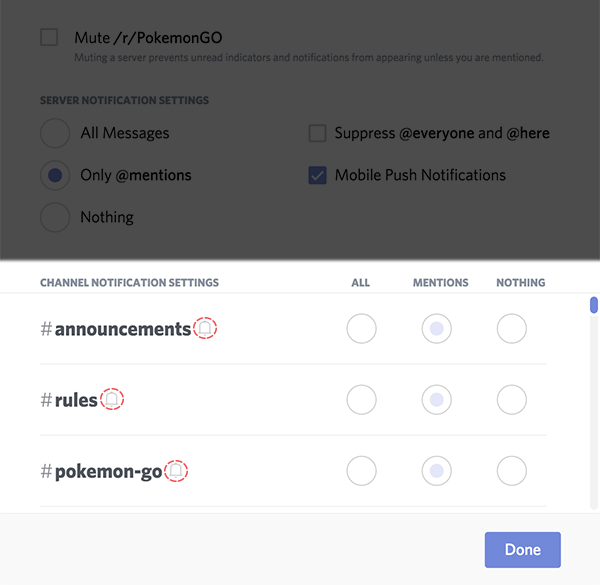 Look under the Channel Notification Settings section and click on the bell icon that appears next to each channel in the list to mute the channels you don't want to hear from! 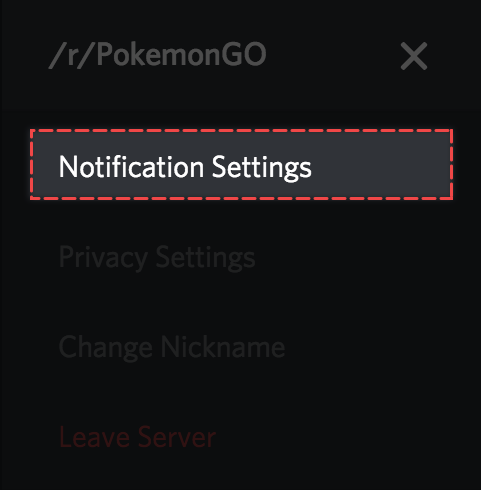 Incase you're a snorlax like me and don't want to go through the trouble of muting all channels in a server, open up the same Notification Settings panel from the above step (Horizontal Lines > Notification Settings) and enable the first option, Mute [Server Name]. 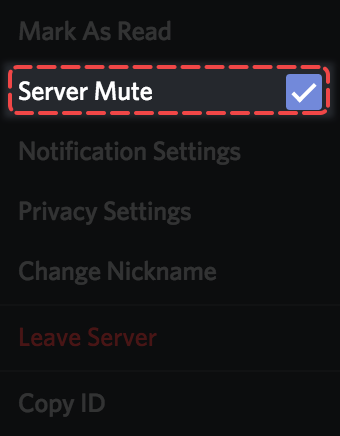 You can also mute an entire server by right clicking on the server icon in your server list, and selecting Mute Server from the drop down menu. Remember muting a server is not immune to notifications pertaining to you personally, such as @username, @role, @everyone, or @here. You won't receive the unread dots next to channel names or servers, but if you are mentioned specifically you will get the red indicators showing you how many times you were mentioned in which servers.